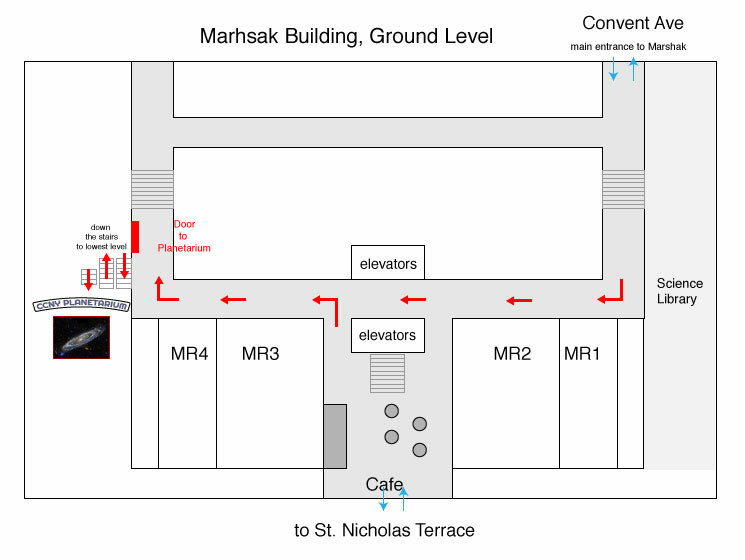 We are located in the basement of the Marshak Science Building, on the City College Campus. The planetarium can be reached via elevator, however advanced notice should be given since it requires assistance from a public safety officer. Please contact us to arrange.